This 3-day course, Tuesday 23 – Thursday 25 June 2015, was run jointly by the Typography Department at Reading, the V&A and the AHRC Design Star Consortium. Delegates included PhD students, curators and librarians from National Portrait Gallery, the V&A, the Ashmolean Museaum, and Kew Gardens, and members of the Baxter Society. The first two days were hosted by Martin Andrews who, with Alan Hardie, introduced delegates to hand-on letterpress, intaglio and lithographic printing using the presses in the Typography Department. Martin used prints from the collections and archives to support close observation using hand lenses to explain what to look for when you are trying to identify the printing processes used. The third day was spent at the V&A where Elizabeth James, Senior Librarian, National Art Library Collections, and Annemarie Bilclough, Assistant Curator in Prints and Drawings introduced treasures from their Departments, and gave delegates the challenging task of identifying the printing processes that were used. 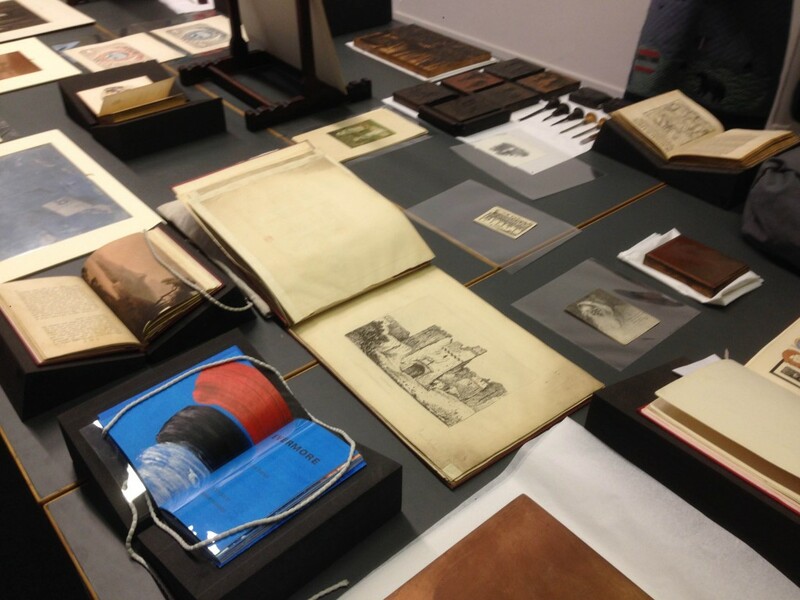 In the afternoon, Michael Twyman from Reading led a session on lithography and chromolithography. Seeing the processes done in the studio and seeing so many examples of each type as we were talking through them. Being able to have a go drawing directly on copper plates and stone was invaluable for understanding the process and getting a more all-round understanding of the complexities of print making. It was also good to meet people from other institutions and to compare what sort of queries and questions come up regarding their print collections. [The course] has given me the confidence to identify numerous different types of printing which is necessary in my current job at the V&A. We routinely respond to public queries and have an opinions day where members of the public can bring in their personal objects for appraisal so it will be very useful then also. I also do a lot of cataloguing of prints so I feel I have a more grounded expertise now and look forward to putting it into practice. This entry was posted in Uncategorized and tagged AHRC, Design Star, impact, research training. Bookmark the permalink.